I started to publish Vibrant In-Text Ads since June last year. Its performance and earning are overwhelming. 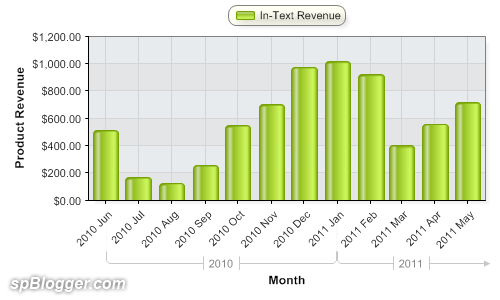 With the 10th payment ($403.40 @ March) that I received, I am proud to announce that Vibrant In-Text Ads is the best in-text advertising network. And certified Vibrant as Best in-text make money online tool. Vibrant In-Text Ads earning tells everything. Other in-text advertising like Infolinks and Kontera that I tried, their earning do not even come close to Vibrant. Furthermore, Vibrant earning beats Google AdSense sometimes.